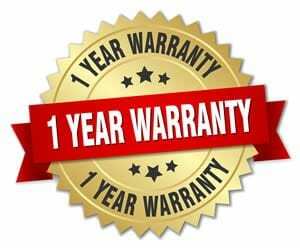 Full one year replacement warranty for any tree or shrub we plant. Optional one year Customer Participation Warranty (50/50 share in replacement costs) available on all trees and shrubs at time of purchase. Arbor Hills agrees to replace any tree or shrub we have planted if it fails within one year of planting unless other wised noted. This limited warranty is for a one time replacement of similar size (tree/shrub) and variety subject to availability. The Arbor Hills limited warranty applies only if the respective trees and shrubs were properly maintained and watered in accordance with our watering guidelines. This limited warranty is voided if the tree or shrub fails due to improper use of chemicals, over or under watering, Acts of God (floods, extreme winter or summer conditions) or mechanical or animal caused injury to the plants or trees.. Customer planted or wholesale direct purchased trees or shrubs are not warranted by Arbor Hills. Any unpaid invoices automatically void any replacement warranty. Congratulations on your purchase of the new trees and shrubs from Arbor Hills. Your new trees and shrubs are dependent on you for care and watering. Water is essential to a new plant’s survival but watering can be confusing and no hard fast rules always apply. Healthy trees and shrubs require regular and planned irrigation, but they must not be over watered. How water is applied, how much water is applied, and how often it is applied are key factors in the new plants survival. HOW TO APPLY WATER TO TREES Newly planted trees will require 1″of rain or water per week. If rain is not present, lay a soaker hose around the base of the tree or drip line of the tree to insure the water slowly soaks into the root ball of the tree. A more conservative approach is to use a clean 5 gallon container and poke a few ¼” holes in the bottom to allow water to slowly drain water into the root ball of the tree. It is key to get water down into the root ball to a minimum depth of 12-18″. The majority of the tree’s absorbing roots are at this level. Apply 2-3 gallons of water for every 1″ in caliper of tree size. Example if you new tree is 2.0″ in caliper size you should apply 4 to 6 gallons of water per irrigation. For example: A soaker hose will dispense about 5 gallons of water per hour, or if you use the 5 gallon container technique (as described above) simply fill the bucket with water the number of times as needed to reach the required gallons per irrigation. For those customers in West Omaha, compacted clay soils tend to hold water, thus you need to add water at a slow pace per irrigation. Evergreen trees use 50% or less of the above recommended amount of water. During our growing season, April 1st to October 1st, you should water you new trees once every ten days to two weeks during the first year. Again the goal is to keep the root ball moist at the rate of 1″ of water per week without over watering. If it is rainy in early spring or fall, you can skip those weeks. If it is dry make sure you water those weeks. From November 1st to March 1st, you should reduce this watering routine to once or twice per month. Apply 3-4 inches of hard wood mulch to cover the root ball of the tree or landscaping bed. Do not lay plastic or rock on top of the root balls. The plants need to breathe though the top of their root structure. Prevent high moisture conditions: Water will move from the natural soils to the newly planted tree or shrub during heavy rains or over watering by sprinkler systems. This creates a bath tub effect and under long periods and will suffocate the roots. Assuming you have well drained soils, water all new shrubs each day for the first 7 days after planting. Water again once every 7-10 days until roots fully establish. Continue this process for the first 9 months after the shrubs are planted. Skip the weeks if moisture or rain is present. If you have any questions regarding these Watering Guidelines please call 402-681-6288 or email us at arborhills@cox.net for advice. If you like the trees and shrubs we provided, please tell your friends and neighbors about us.